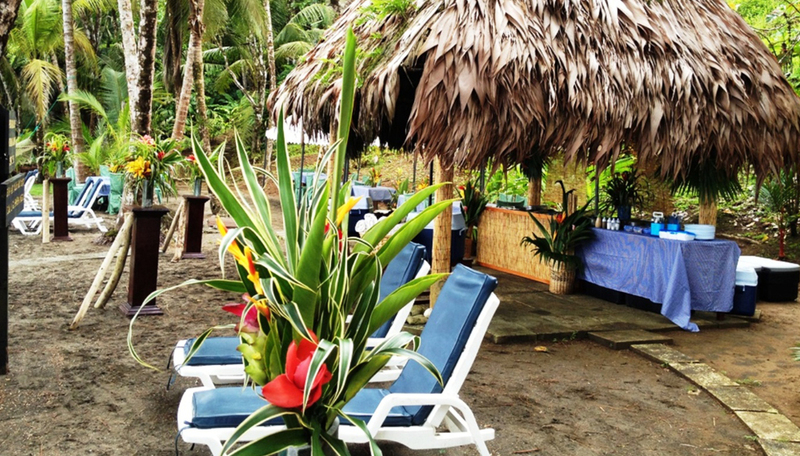 An authentic, remote and unforgettable Costa Rica experience. This secluded rainforest eco-lodge is hidden in a 170 acre private reserve bordering the wildlife rich Corcovado National Park. Your adventure begins before you even arrive at the lodge, as there are no roads, it is only accessible by boat travelling through mangrove channels and then along the Pacific coastline. The hill top setting provides magnificent views and captures the ocean and rainforest breezes, what better place to enjoy the sunset than the Margarita Bar with views out over Caño Island. The main building, reminiscent of a hacienda, houses the restaurant with windows on all sides, enhancing your dining experience. There is also an outdoor bar and lounge area where you can enjoy a tasty lunch. Spend the afternoon relaxing by one of the two swimming pools, one is fed by a natural spring, or stroll down to the private beach and enjoy the peace and tranquillity by the shore. The spacious bungalows at Casa Corcovado are well placed for maximum privacy and beautiful views, set amongst the jungle and beautiful gardens of this natural paradise. All are tastefully decorated in earthy colours in a contemporary style, enhanced with furniture and stained-glass doors made by local craftsmen. 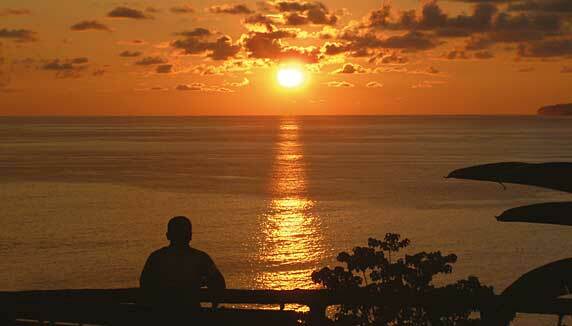 Why go to Casa Corcovado? The remote location of this beautiful eco-lodge is part of its charm. With only 14 bungalows, this is sure to be an easy place to immerse yourself in nature and your surroundings and totally escape. The unique setting allows you to have the best of both worlds – explore the jungle and seek out the wildlife and birds that make this area home, and then lose yourself in the freedom of the ocean with a snorkelling or diving trip off Caño Island, you may be lucky enough to see turtles or dolphins! Casa Corcovado is an eco-lodge in the true sense of the word and was designed with the environment in mind, built in such a way so as to have minimal impact on the surroundings – your stay here will enable you to experience the beauty of this natural paradise knowing you are not harming the habitat. 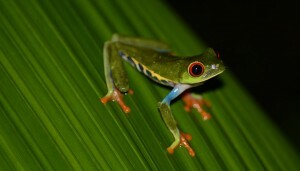 Mysterious wildlife thrives in unprecedented numbers in the lush rainforest that envelops Casa Corcovado Jungle Lodge. Nature-lovers can spot tapirs, scarlet macaws and squirrel monkeys on organised hikes, horse rides and mangrove tours, whilst night-time forest tours reveal more elusive creatures, such as red-eyed tree frogs. Early morning birdwatching trips will allow enthusiasts to identify a collage of brightly coloured feathers, and snorkelling and scuba trips off the lush island of Caño will bring you closer to delicate and rare coral reef eco-systems, manta rays, turtles and whales. 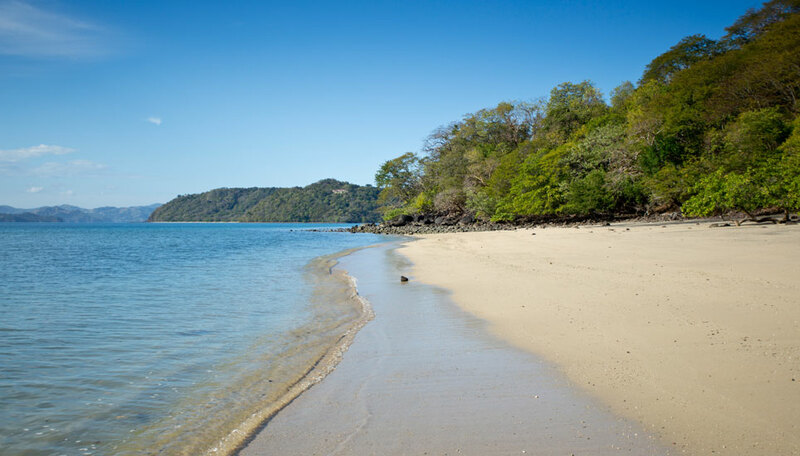 Corcovado National Park, described by National Geographic as “one of the most biologically intense places on earth”, is right on the doorstep opening up the opportunity to see so much more – this really is the jewel in Costa Rica’s crown of national parks. 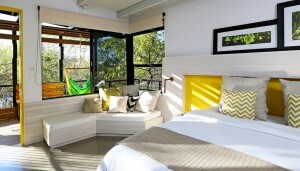 Each bungalow has ceiling fan, screened balcony, hammock, outdoor shower, privacy. A ‘jungle mini-bar’ is found in each room – this not refrigerated, in keeping with the lodges policy of minimising consumption of fossil fuels. All meals. Alcoholic and soft drinks are not included. Park fees and taxes are included. Casa Corcovado welcomes children over the age of 4. A WiFi connection is available in the pool area, Salon Corcovado and the manager’s office. It can be slow at times and is not always available 24 hours. There is also a computer available to guests, located in the office. 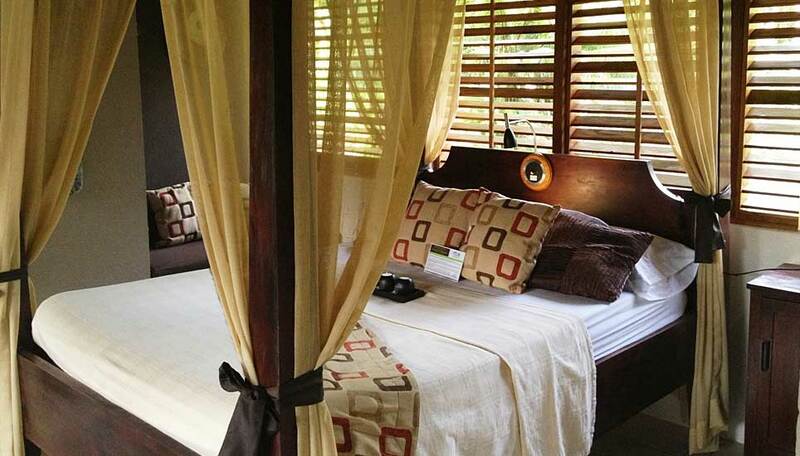 These suites are extra-private, hidden away in the lush tropical greenery of the beautiful Casa Corcovado gardens. Each offers laid-back comfort and style in harmony with the natural surroundings. 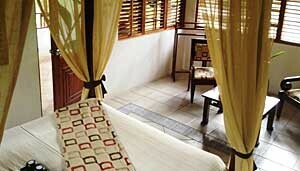 The suites feature a queen bed with mosquito net, cooled by an overhead ceiling fan. Each has cushioned benches, a relaxing sitting area, and a large, tiled bathroom. 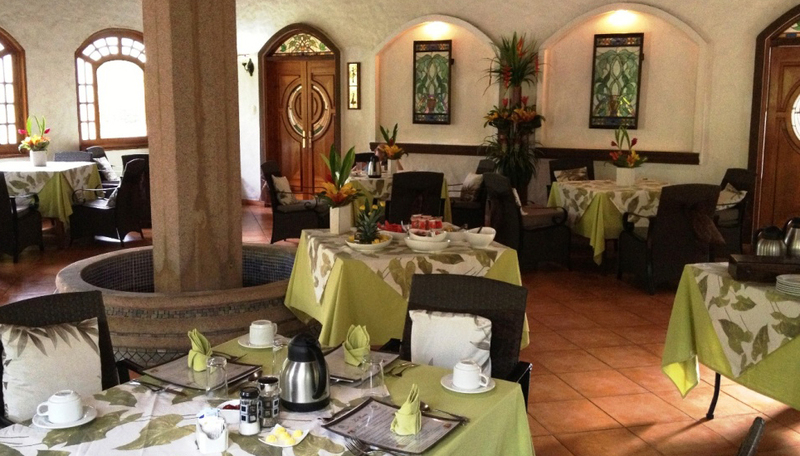 The wood-beamed ceiling, shutters, and stained-glass in the doors are hand-crafted by Costa Rican artisans. Follow the walkways and you will find the deluxe bungalows, tucked away in their own private gardens. These larger bungalows offer a queen bed plus either two or three additional beds perfect for accommodating families or groups of friends. Tastefully decorated with the wood-beamed ceilings, shutters, and stained glass. 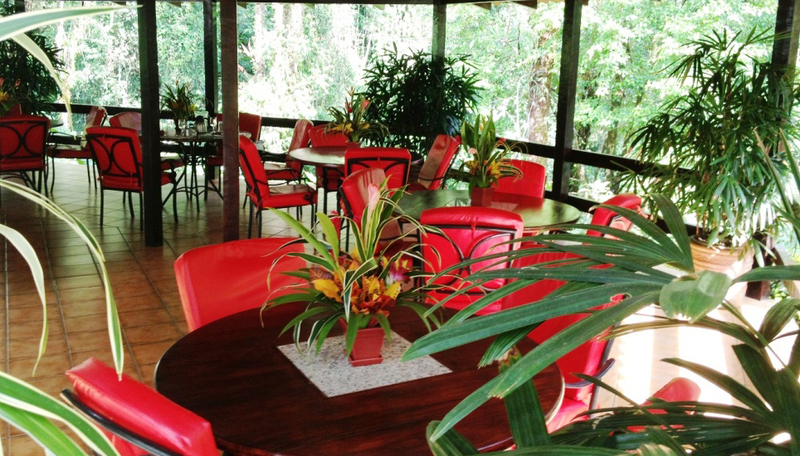 Relax in the lounge area while delighting in the symphony of the sounds of the rainforest. Set against the backdrop of the jungle, the largest bungalows are divided into two inter-connecting junior suites making them ideal for family groups or friends. 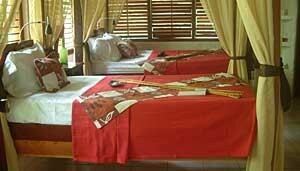 Each of the suites features a bedroom containing a queen bed and single bed (both with mosquito nets). There is a comfortably-furnished living room with sofa bed, and a screened in porch, a great place for relaxing after a day of adventure – perhaps with a glass of red wine from the wooden chest that serves as the Jungle Minibar.